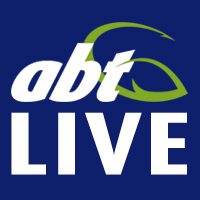 Austackle Pro Brian Everingham has had a hot year on tour! With the fourth and final round of the BassCat BASS Pro Series fast approaching, the race for the Bassman AOY and Grand Final qualification is well and truly on. 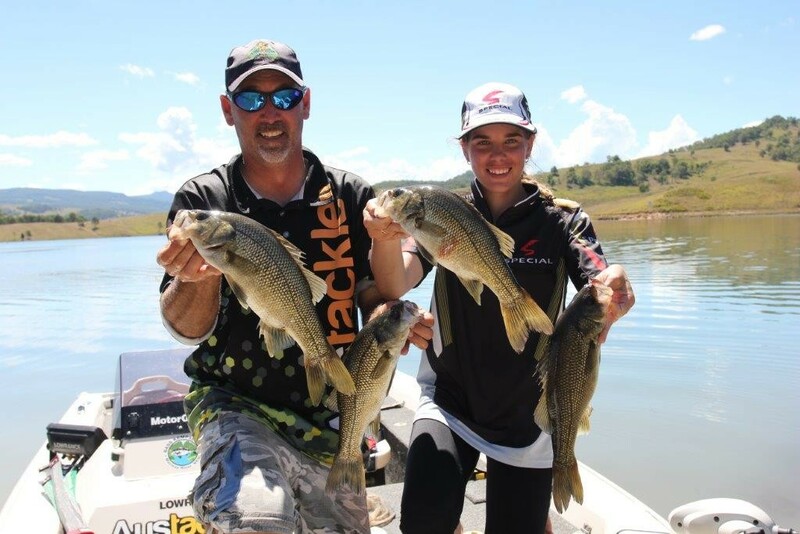 Boondooma Dam is showing out in 2016, with the fantastic South Burnett fishery serving up some of the biggest bass in the country. 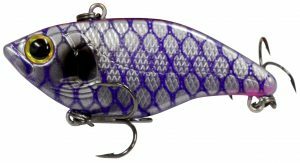 The Austackle Boondooma BASS Pro is shaping up to be a battle of deep vs shallow, as the bass in the dam are scattered throughout shallow and deep patterns. 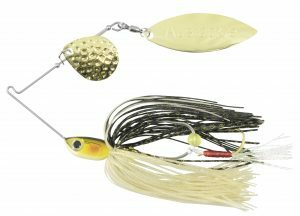 With that in mind, here’s five of the hottest baits from Austackle that we’re picking to do well come tournament time. Here’s what to look for in your local tackle store. Starting off in the mindset that you want to target the deeper fish, here’s an offering from Austackle that’s sure to pluck a few out of the schools. 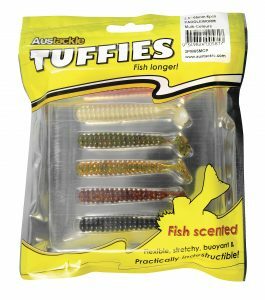 The Austackle Fishy Thing is part of the companies re-released range of Tuffies soft plastics. Tuffies are constructed of a special material that makes them buoyant, stretchy and almost indestructible. The Fishy Thing an 85mm paddletail swimbait, perfect for that upgrade bite after filling your bag. Rig it on a heavy jighead and roll it through the schools, or fish it lighter around the edges for staging fish. Another member of the Tuffies family, the Paddleworm comes in two sizes. A finesse 65mm offering, and a larger 100mm version that can be easily trimmed to match the forage size of the chosen location. The thin tail wrist of the paddleworm combined with the material it’s made out of gives off an incredible amount of action underwater. You don’t need to do much else with this bait other than a simple slow roll. This style of bait is one of the must haves for impoundment bass fishing. The Austackle Gizmo spinnerbait isn’t just another ordinary spinnerbait. Featuring a unique articulated assist stinger hook, you won’t often miss with a Gizmo tied on. Available in a wide variety of colours to suit all water conditions, and all featuring UV enhancements. Boondooma always shows out for a solid spinnerbait bite, whether it’s up in the timber of both arms or around the shallow weed. We’re tipping some cheques get chased fishing shallow during the event. There’s no doubt a blade is an effective tool for catching Australian bass, and there’s been plenty of ABT BASS Pro events won on these lures at Boondooma over the years. The Austackle Vexa Vibr comes in a range of weights, so you can fish this at any depth. With multiple colour options featuring Luminescent eyes, or genuine Australian awabi shell there’s sure to be a colour option to tickle your fancy. A lipless vibration bait is one of the go-to lures in a BASSers tacklebox. The Pulse 60R is a rattling 60mm vibration that can be hopped, jigged or simply slow rolled. The strong vibrating action is enough to draw fish out of nearby weed or timber, or annoy a fish sulking on the bottom into biting. The heavier weight of the Pulse 60R makes it a dream to cast, so if the wind is up during tournament weekend. Maybe pick up a lipless crankbait and start chunking and winding. If the bass are active, there’s no better way to catch them than a lipless crankbait.